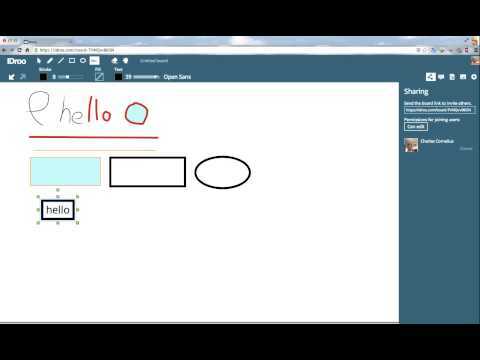 IDroo is a great whiteboard for using online with your student. Here’s a quick video outlining its basic tools. Here’s a quick demonstration of IDroo’s drawing and moving tools.